Soda Pop Miniatures will be headed to GenCon this week and they're bringing Caverns of Roxor with them. Summer is heating up. Put some sizzle in your Gencon bag. 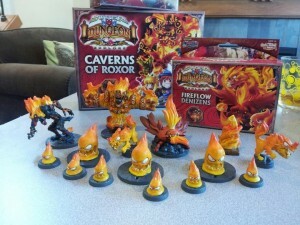 Caverns of ROXOR available in limited quantity this week at Gencon in a special pre release. See you there!